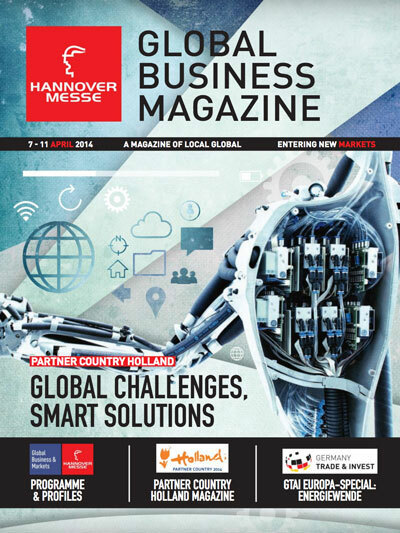 At HANNOVER MESSE the world of manufacturing gets together. 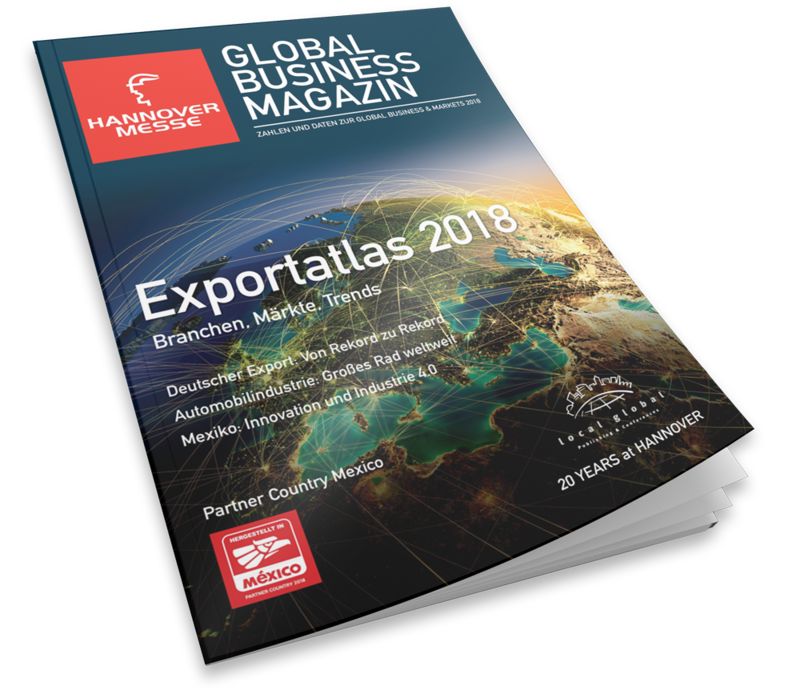 The Global Business Magazine is a program and theme guide through Europe’s most important event for trade and investment promotion: The Global Business & Markets as well as through the Partner Country presentation. 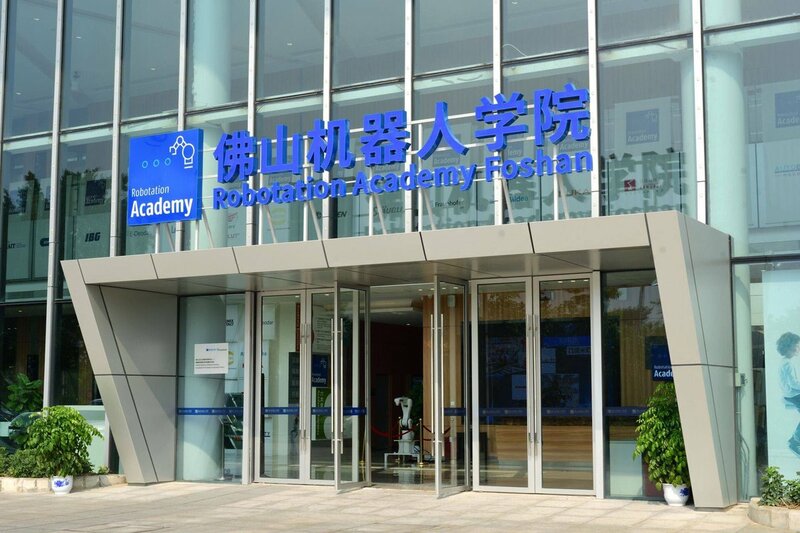 Address the world’s industrial community here! 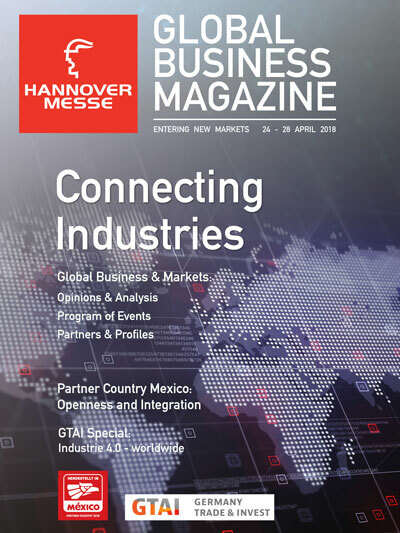 The Magazine contains contributions of the top speakers of the Global Business & Markets of HANNOVER MESSE as well as international market reports. 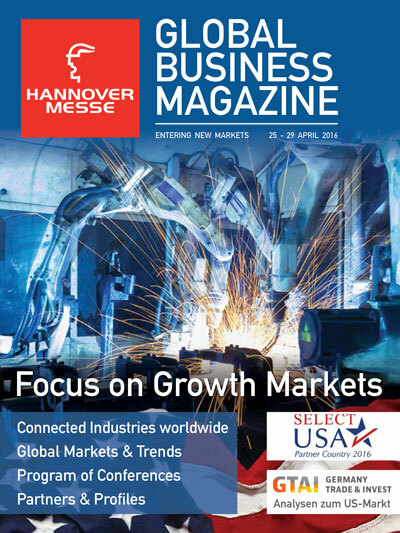 The Global Business Magazine is a joint publication of HANNOVER MESSE and local global. 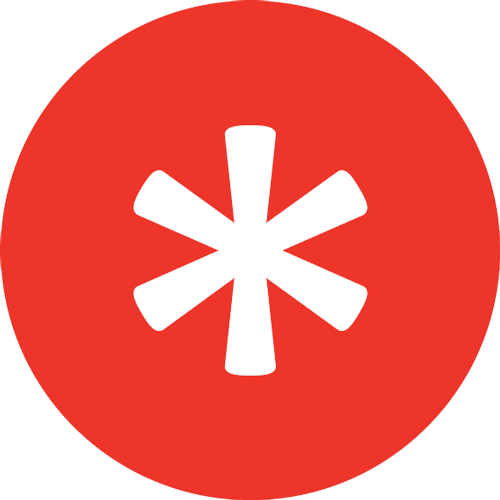 It is distributed in the Global Business & Markets conferences. at the Press Centre and Convention as well at the stands of customers and partners. Print run: 5000 copies. 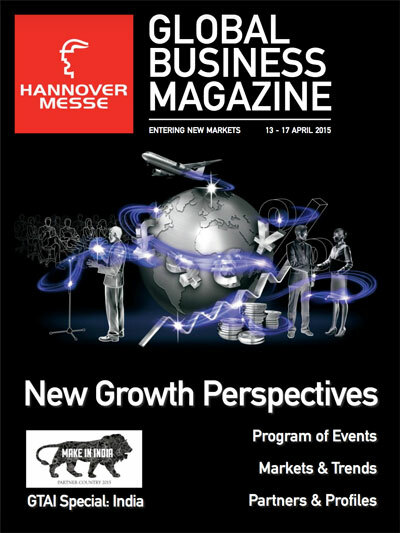 The Magazine contains contributions of the top speakers of the Global Business & Markets of HANNOVER MESSE as well as international market reports. 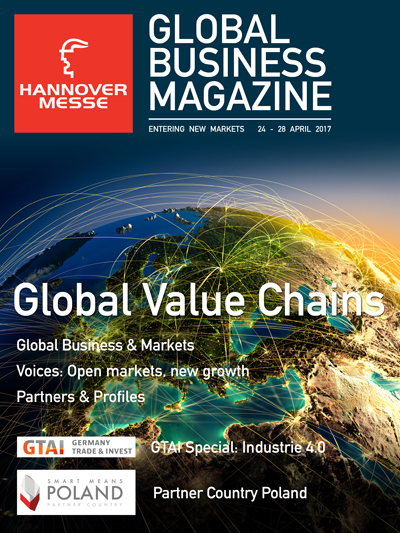 The magazine provides an in-depth knowledge of current discussions on industrial policies and international trade.